David Zublick says the list of those indicted to be prosecuted for the worst deep state crimes has been released and he discusses the details as well as confirms the “prison barges” have arrived at GTMO and will house the most high level criminals. 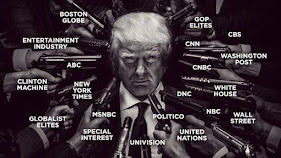 David reports that no legacy media people, only trusted alternative news groups will be permitted to observe, record and report on the proceedings at military tribunals in multiple locations. David is one of those reporters. We also understand that these first few serious cases of treason and crimes against Humanity do not set the tone for every criminal on the planet and how their prosecution and trials will be handled. These tribunals are sensitive, and for many reasons are under wraps for now. We understand we will have the opportunity to view the trials on the Internet after the fact so we know justice was done and can find closure. FEMA Prison barges arrive at Gitmo for the purpose of housing the overflow of high level indicted Deep State detainees during the military tribunals. Meanwhile, a complete list of those charged has just been released and we have it. Charges include Treason, Election Fraud and political elite roles in 9/11and the Benghazi Massacre, gun and drug running, human trafficking, child exploitation, kidnapping, murder and harvesting victim’s organs for monetary gain. Judges have been seated. Death chambers have been prepared. David Zublick unseals the truth in this special report!